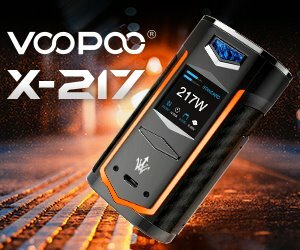 The French vaping community has received some serious blows recently, after Parliament adopted a new Health Act containing a very strict framework for the use and marketing of electronic cigarettes – vaping is no longer allowed in public spaces and in enclosed workplaces and advertising has been heavily regulated. 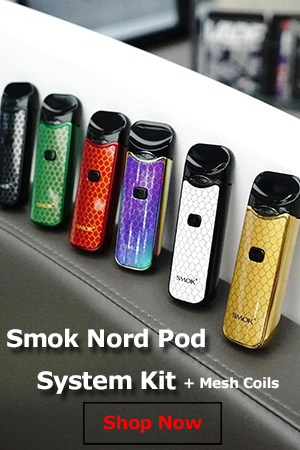 Furthermore, the adoption of the EU’s new tobacco directive without its provisions being discussed in the National Assembly is set to render vaping virtually ineffective as an alternative to smoking. In light of these developments, French vapers took to the internet in November and December 2015, leaving thousands of messages on the official blog of Health Minister Marisol Touraine. 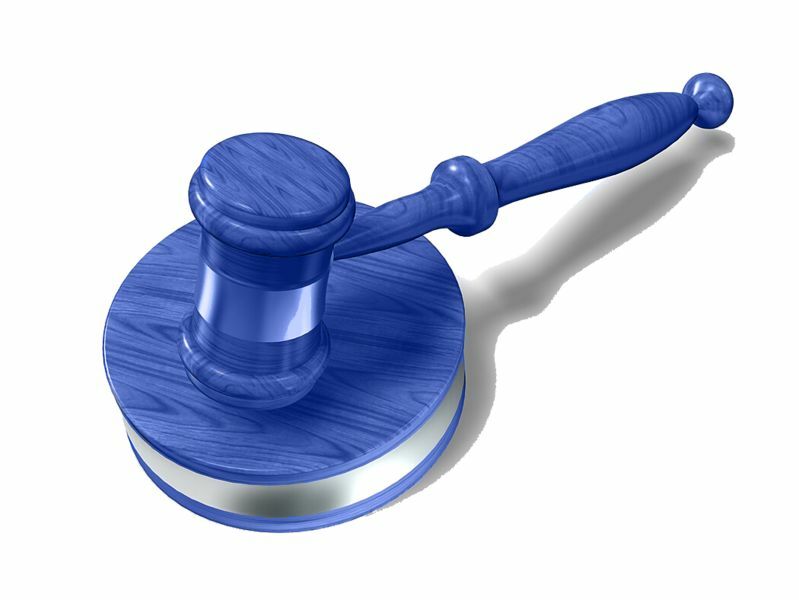 Aside from stating their disapproval of the newly adopted legislation, they also made it clear that these new changes would limit the performance of electronic cigarettes as well as their availability on the market and put small companies out of business while helping tobacco companies take over the entire sector with their obsolete cigalikes. Their messages apparently landed on deaf years, as Touraine didn’t bother replying. This complete disregard for the opinion of the French vaping community was perceived by many as utter contempt, but instead of triggering a violent reaction it simply inspired vapers to come up with an ingenious and civilized way of appealing to regulators and raising awareness about their plight. In a matter of days, vapers managed to raise €9,000 ($9,750) in order to print 1,000 of the most pertinent messages posted on Marisol Touraine’s blog in a book and send it to her, as well other important officials, including President François Hollande and Prime-minister Manuel Valls. 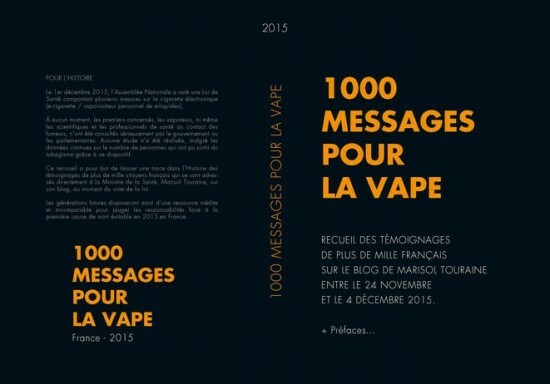 Titled “1,000 Messages Pour la Vape” (1,000 Messages for Vaping) the book is available for free online and can be bought in print for €5. The book is a symbolic form of protest, one that French vapers hope will let regulators know that they will fight to ensure that Big Tobacco does not get their hands on electronic cigarettes. 1,000 Messages for Vaping is supported by a number of doctors, scientists and journalists who agreed to preface the book, defending the benefits of vaping as an alternative to smoking. 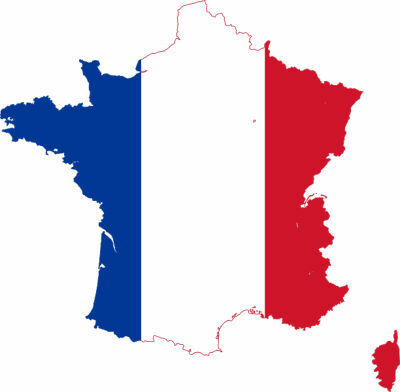 France is currently the second-largest e-cigarette market in Europe and the third in the world, after the United States and United Kingdom, but stringent regulation that limits performance and stifles innovation threatens to make vaping ineffective and send millions of e-cigarette users back to smoking.